Living while feminist in an anti-feminist world is torture. If it wasn’t for my sisters and all the ancestors who came before me, I simply could not survive. 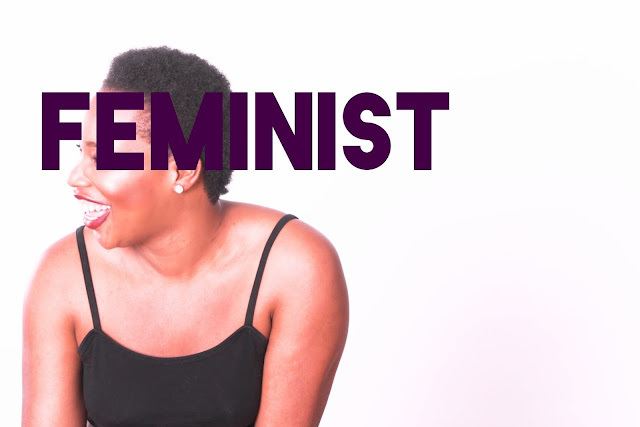 Dating while feminist? Now that is one of the hardest task I have encountered as of yet. I have always been relatively picky. In my late teens and my earlier 20s, my standard was pretty classist. He had to be a man of God or at least very spiritual and very in tune with himself and the world around him. He had to be college-educated with a good job. He had to be assertive and a self-starter. Someone who likes to do. Someone who likes to take risks. Someone who is weird and awkward yet comfortable in his weirdness. Creative personalities who like to think outside the box and question everything. Someone who supports me and inspires me. He had to be genuinely interested in me as a person and not the superficial persona that people project onto me. My introverted yet awkward confident ability to navigate through any circle at any time and somehow become the life of the party. I needed him to not be intimidated by my autonomy and my competitiveness. Someone I could compete with in a healthy way. Someone who understands my flaws and critiques them in a way that makes me a better person; not worse off or insecure. He had to be meticulous about his clothing and his hair and his scent but he couldn’t judge me on my hair, clothing, or my ever so unladylike habits. Someone not afraid of a little armpit, leg, and pubic hair. Because how else am I supposed to stay warm? He had to genuinely be interested in me as a person. My corniness. My dry humor. My random bursts of improv and my highly anticipated stories of all the things that are wrong in this world. I needed him to be everything I am but a little more. Because for me its difficult to open up. But I am open and self-aware. I am a hopeless romantic who has always been in love with love. One who has always been boy-crazy, switching crushes everyday but always staying focused on the one who would always get away. Because of my weird, awkward, naïve vision of how I wanted relationships and love to be , derived from the pews of the Catholic church girl who loved God so much but wondered why God made life so hard for a woman like me. You can say I have a type but I guess I just want to be enamored. Forever inspired. Forever amazed by the intricate details the universe put together to make him. I no longer believe in soul mates because I have met many who have been compatible with me but lacked chemistry. Chemistry but lacked compatibility. There are so many things I want , but dating is hard. Dating is difficult. At the brink of 25, still young and still learning about myself. I am more comfortable in my skin than I have ever been. I am more sure about who I am and what I want and who I need and what I desire. I am confident enough to be unapologetic about my feminism and my hatred for misogyny, racism, ableism, homophobia, classism, transphobia, and etc etc etc etc etc. I am bold enough in my body to fully proclaim that I cant and wont tolerate those who choose not understand or stand up, speak out, or advocate against oppression. Living while feminist is torture, but dating while feminist can be even more rough. I am selective about who I bring into my space and why. I no longer care for the man of God, college-educated with a good job. Everything else on my list remains with the addition of (see below lol). Make no mistake, I still want a man with lots of cashhhhhhh. But I am less concerned with how many degrees and what type of job he has, as opposed to how he thinks, what he does, what he values, and the type of things he has already/wants to accomplish. I am less concerned with the formality of school and more concerned with the depth and complexity of his thought process. I am more in love with the ways he creates opportunities for himself to grow spiritually, emotionally, and mentally. I need someone to grow with. I need someone who can challenge me to grow. Someone who respects me as a human being. Someone who recognizes the humanity of women and acknowledges the daily personal and structural struggles that women have to navigate through. Some one who doesn’t only respect me as a human being or give me some fake pedestal until they are finally over trying to change me. But someone who recognizes the humanity and respects the autonomy of every woman on this earth. Someone who understands and is willing to navigate through the oppressive waters with me. Someone who is in it for the long haul. We will get burnt out. Many times we will need to come up for a fresh breath of joy. We will need to celebrate life and progress and change and simply being (existing when everything tells us we should not). Everyday I want to do that , but I do not want to get so lost in love that I forgot about the world around me. So many people are in love with the idea of me, but not the actual person. They don’t love me. They think my feminism is cute. They think I am going through a phase. They wonder how such a beautiful, educated, privileged woman with so much opportunity could worry about all the negative things in the world. I don’t want someone who forces positivity on me to avoid the world's miseries. I want that really. That gritty. I want to feel. I want to know. I want to seek. I want to be inspired. I want to be human and I want someone who will be human like me and with me. Patriarchy has limited so many men’s ability to feel, to communicate, and to think. It has stifled people’s ability to truly define themselves and be open to change. So many men view women as objects to dominate and toy with. They mask entitlement with their colonized version of love. Showering her with gifts, taking her on trips, reminding her of the silent bliss the runs between their undeniable love and connectivity. Or so it seems. But I want that and more. I do not want someone who makes my passions feel small. I don’t want some who makes my goals feel stupid. I do not have room to feel in inadequate in a world that is built on my oppression. I want to talk. I want to feel. I want to be human with someone. I want to open every part of me with someone. I want depth. I want to be enriched. I want to give and give and give so much of me to someone without feeling used or disposable. I don’t need someone to complete me. I want a partner who is willing to share his life with me. We may not be together for a lifetime. We may not even be monogamous. But I want us to share moments in time together. I am looking for someone who complements my life style. My passions, my goals, my outlook on the world. I want him to get it. I don't want to teach him what I feel a fully functioning adult at his age should know and has access to. I don’t want him to do what he thinks he should do. I want him to understand why he does things. I want to explore the world with him. I hope he can teach me things and push me to view the world in ways I never have imagined. I want a lot. I swear ten minutes into every date, I know it won’t work. I know that they are fascinated with everything about me, except for me. I know they find feminism laughable. I know they think they can “ deal”. By the time I’ve looked up to take another sip of water, they’ve already found a way to say something sexist. They’ve already asked me inappropriate questions that might’ve worked on the last 50. They probably tried to elevate me above all the uneducated, ratchet females they be dating. *eye rolls* They have already offered my cooking skills up as our second date. I can already play out the date in my head: the beginning, the middle, and the end. So sometimes I don’t go. Sometimes I just avoid making eye contact or any type of conversation with men because I am convinced they will disappoint. And that my friends, is unfortunate. Which makes it difficult to date while feminist. I am comfortable with where I am. I am comfortable with what I want. And because my standards are high and because patriarchy prevents men from stepping outside themselves to truly see me as an autonomous human being. I always fall short of love. Sometimes I am convinced that it will always be like that. And so I just spend hours writing love poems, creating this imaginary person(s) I hope I one day can meet. I am a hopeless romantic and I am unashamed. Don't give up! Those men are out there, waiting for the kind of woman you are. I managed to find one, and so can you! The secret is to never settle for less than what you deserve. Which, of course, is what all women deserve. I love this. I relate entirely and...I found him. In the middle of Zimbabwe. :) I hope you find him too. Awww that's so precious 😍😍😍 thank you for reading ! Hmm . I think many women do think like this . The problem is the lack of quality men . So once men step up their game , this vicious cycle will halt . Lol..
Live life!! <33 Thank you. "So many people are in love with the idea of me, but not the actual person. They don’t love me. They think my feminism is cute. They think I am going through a phase. They wonder how such a beautiful, educated, privileged woman with so much opportunity could worry about all the negative things in the world." Wow! Humblebrag much? Someone put this in the "most egregious examples" file!